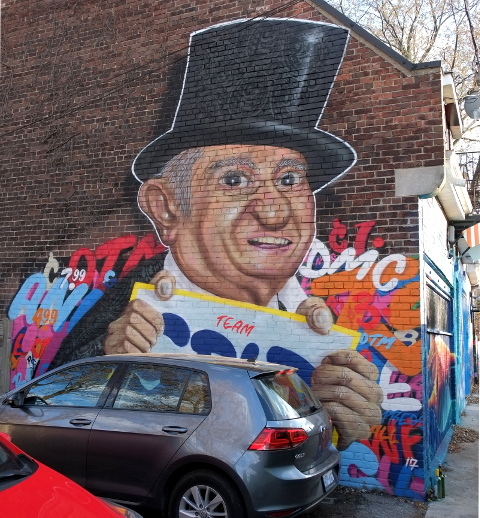 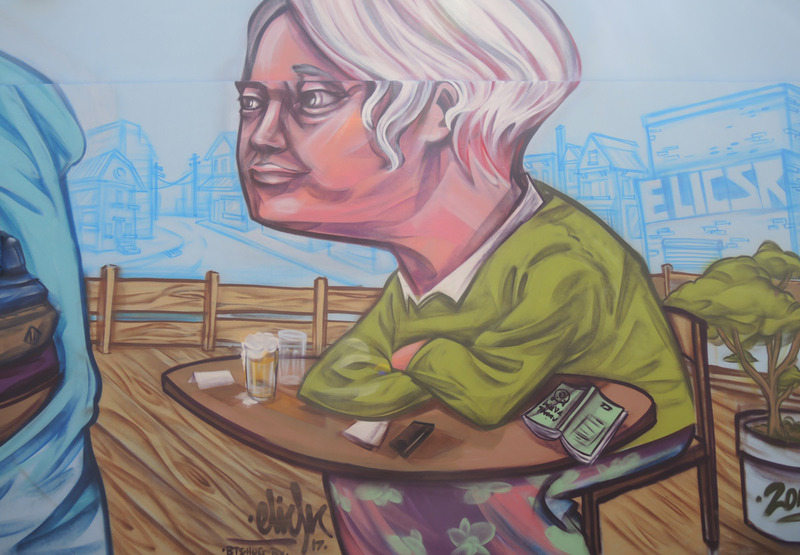 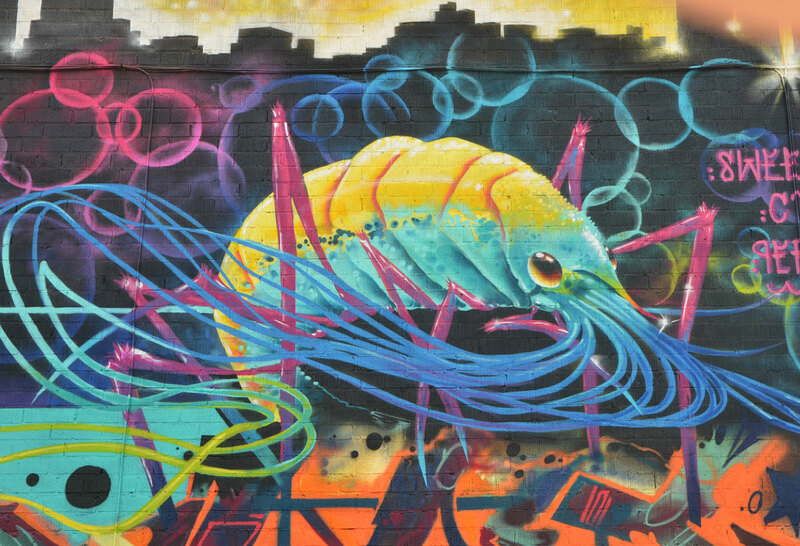 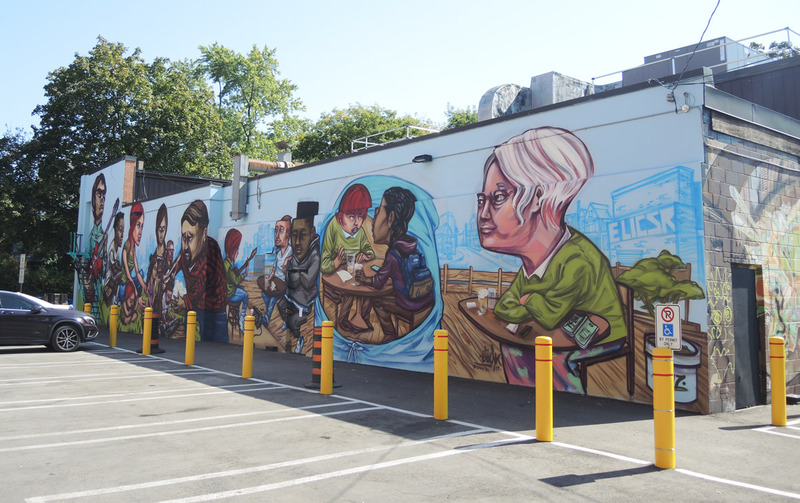 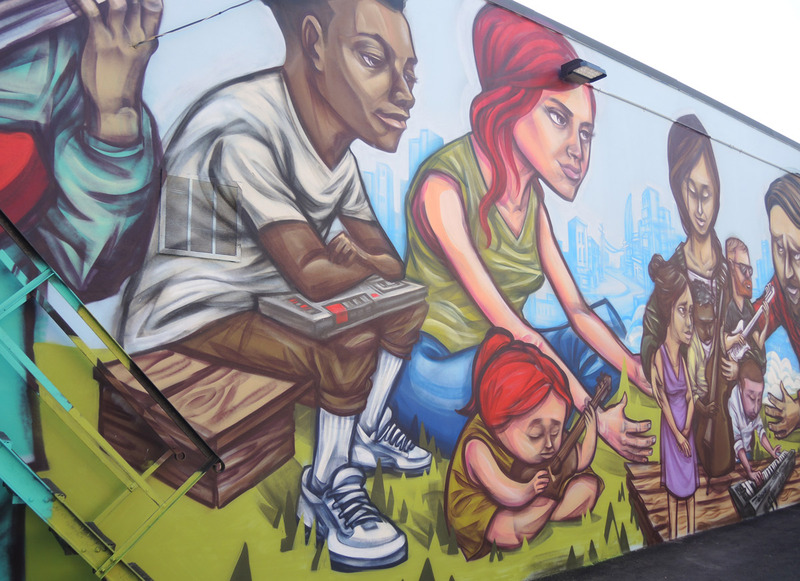 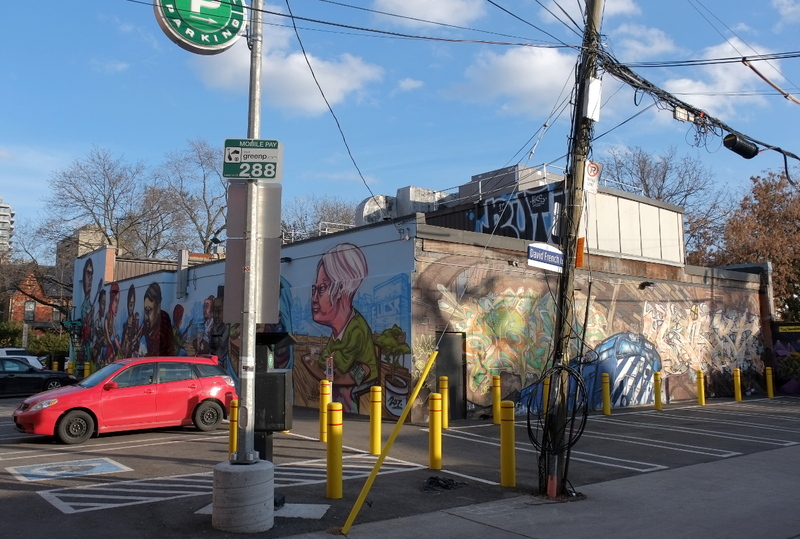 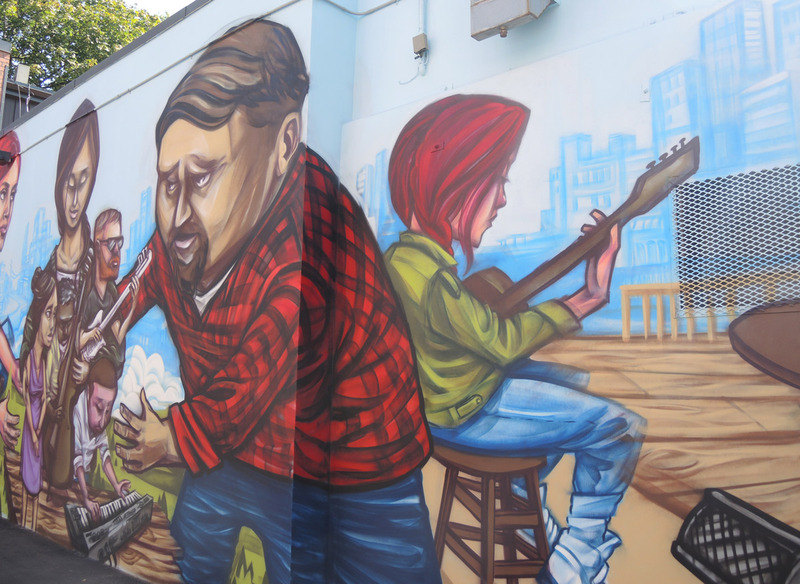 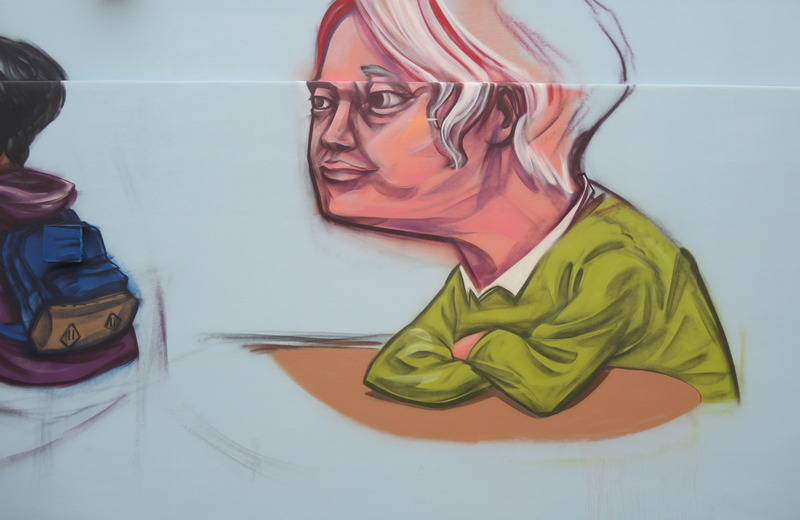 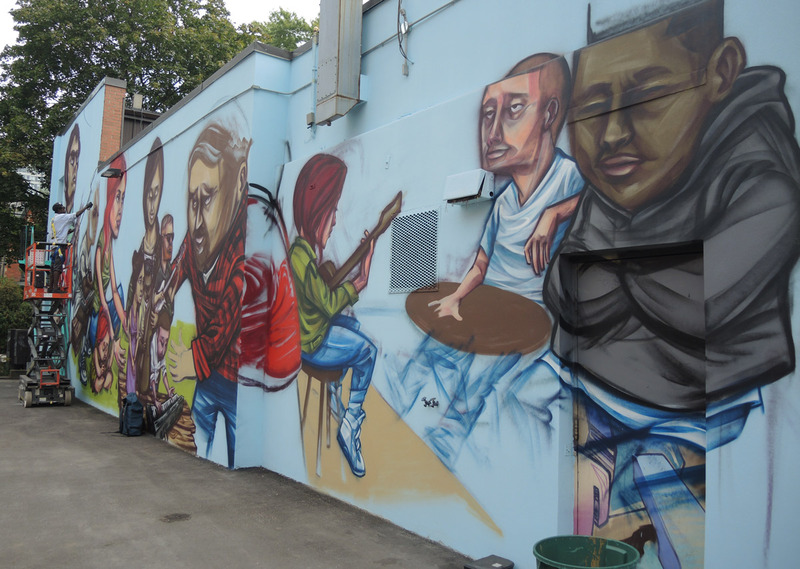 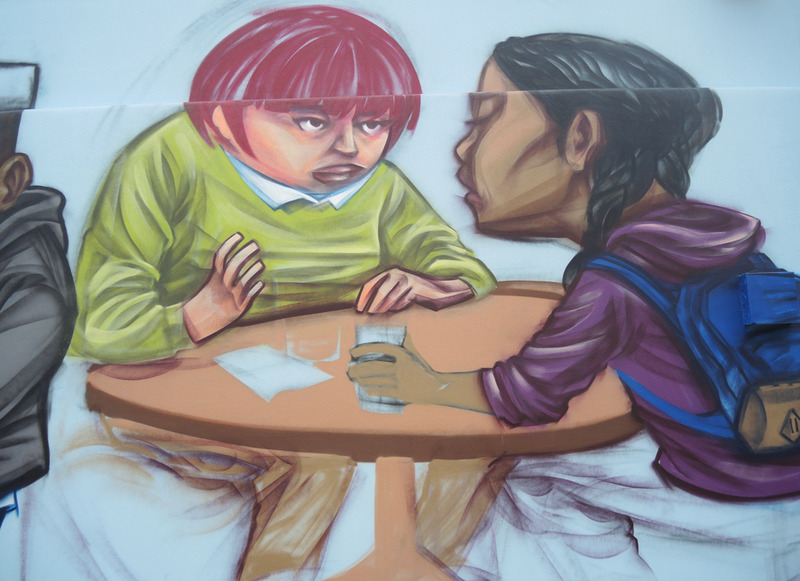 As part of a larger mural project in David French and Barbara Barrett Lanes (near Bloor and Bathurst), elicser has painted another mural with more of the kinds of people that he is known for painting. 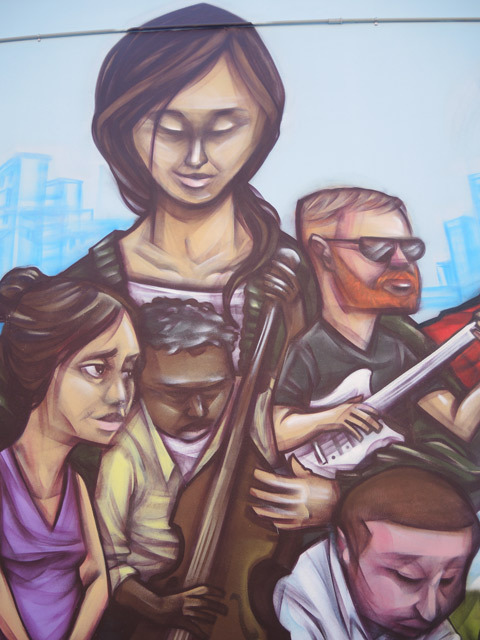 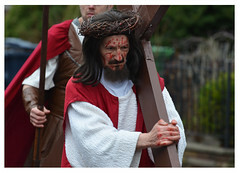 Every day people doing every day things – with some emphasis on musicians and the people who listen to them. 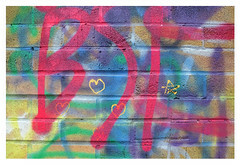 For this post I’ve combined photos that were taken back in mid-September on the weekend that the ‘Wall Expressions’ project was started with those that I took a few weeks later. 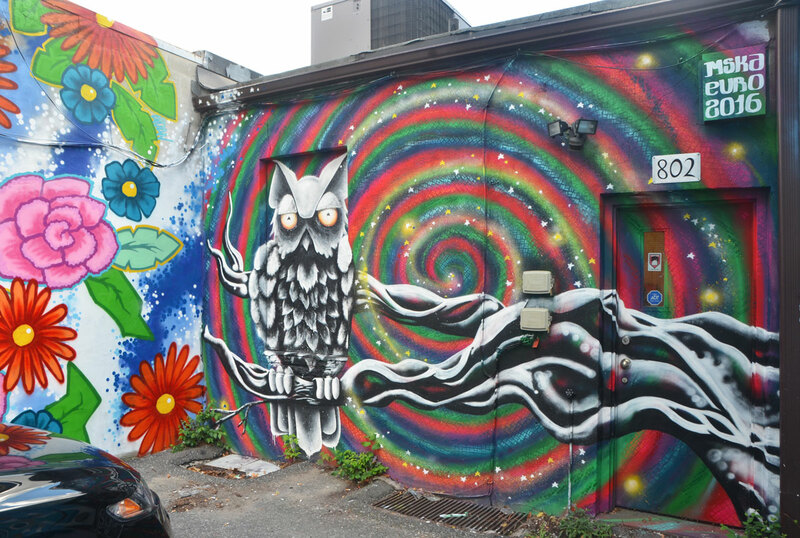 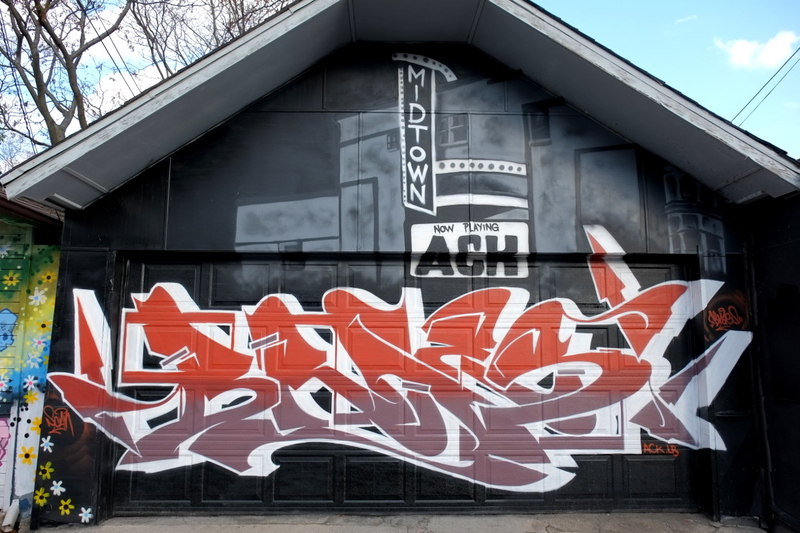 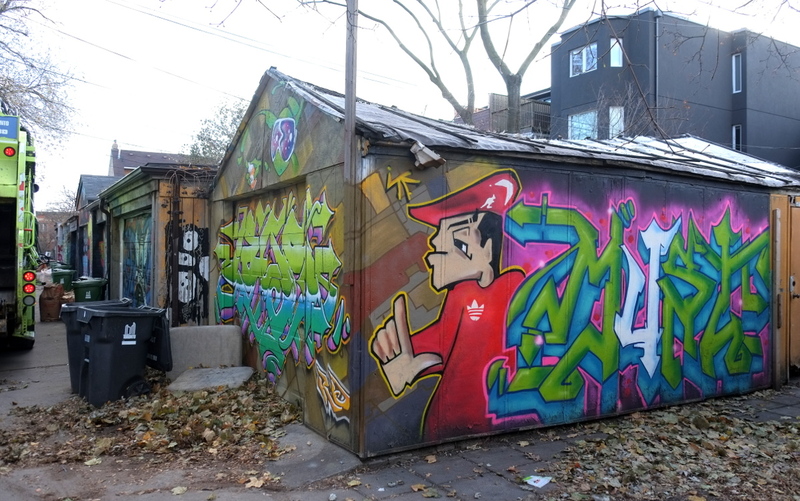 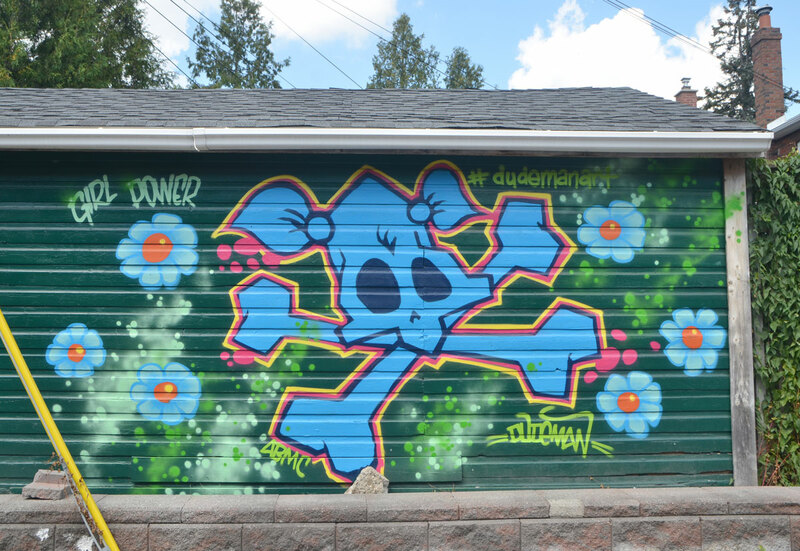 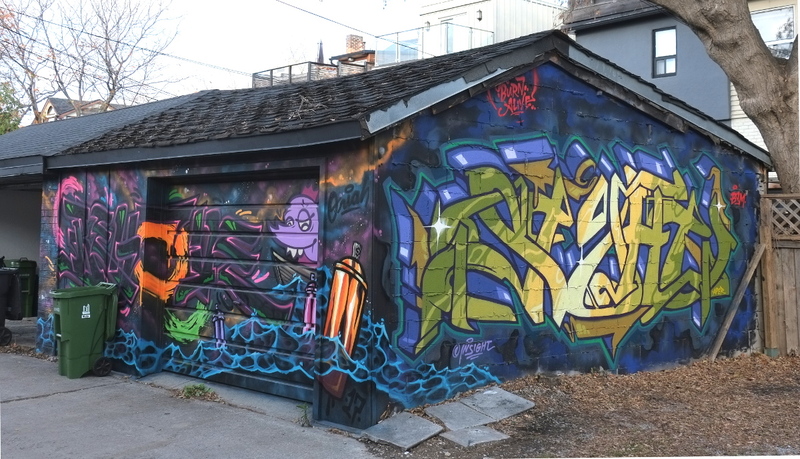 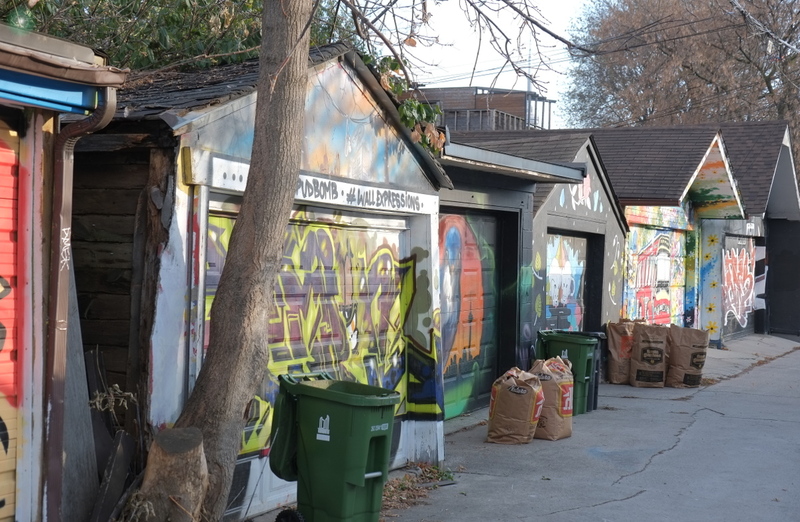 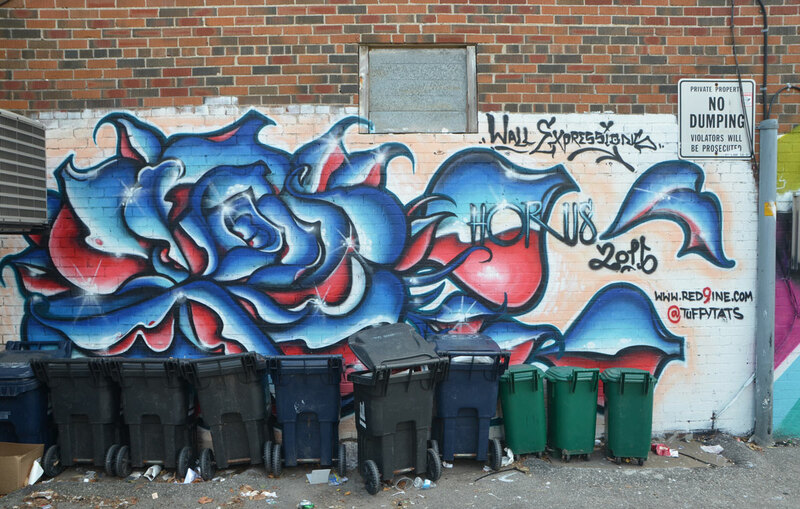 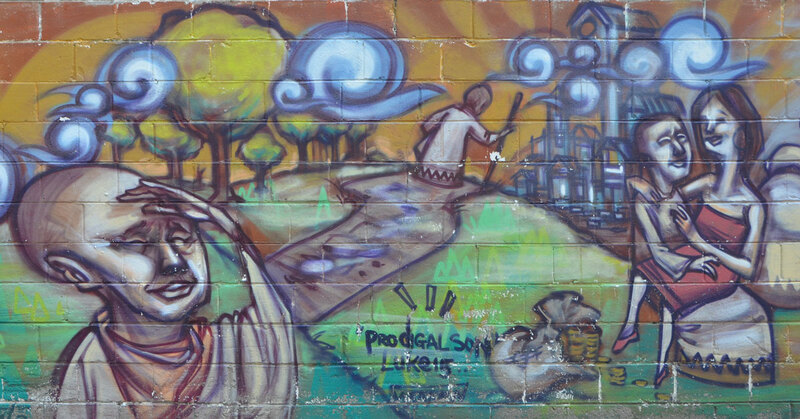 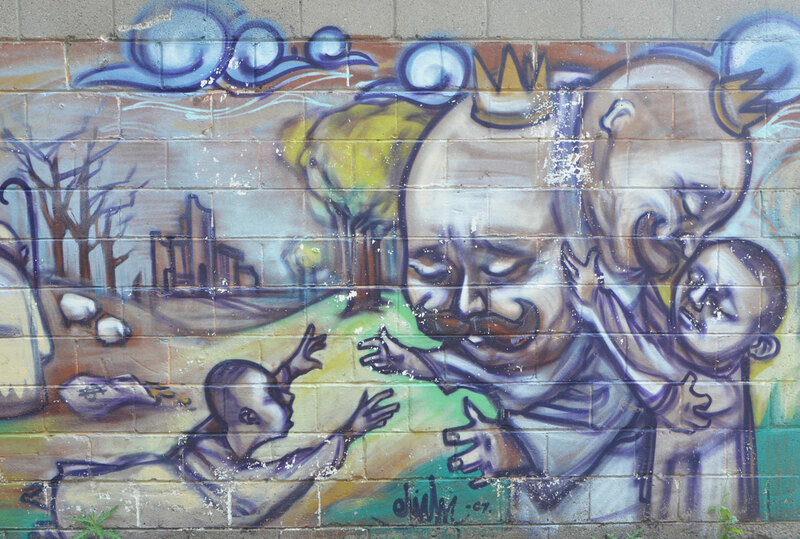 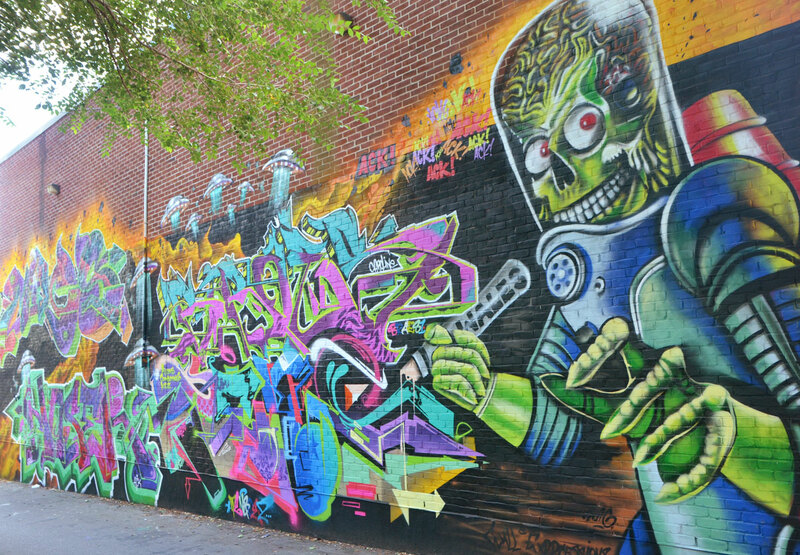 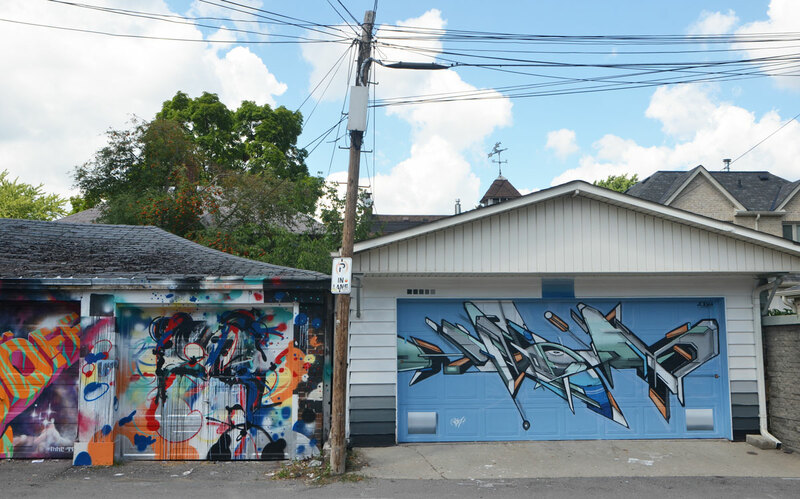 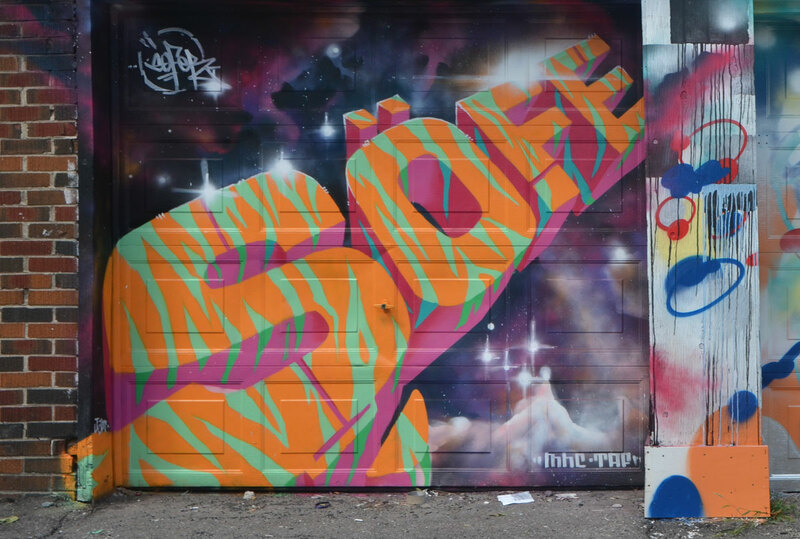 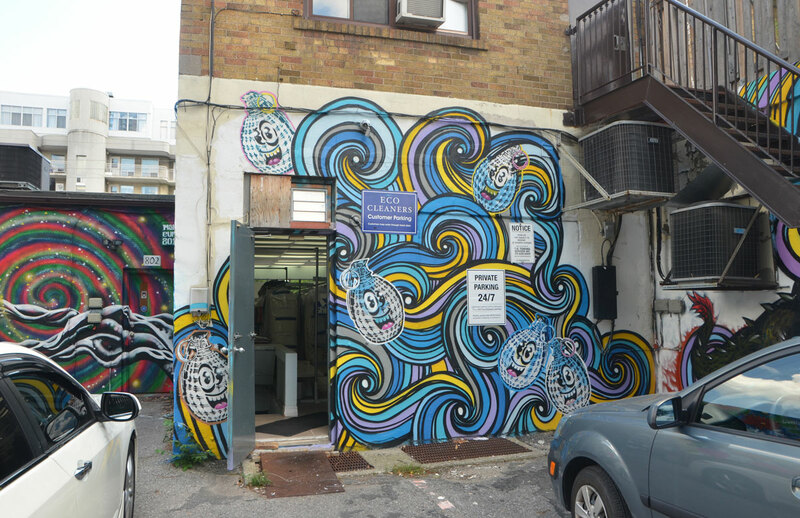 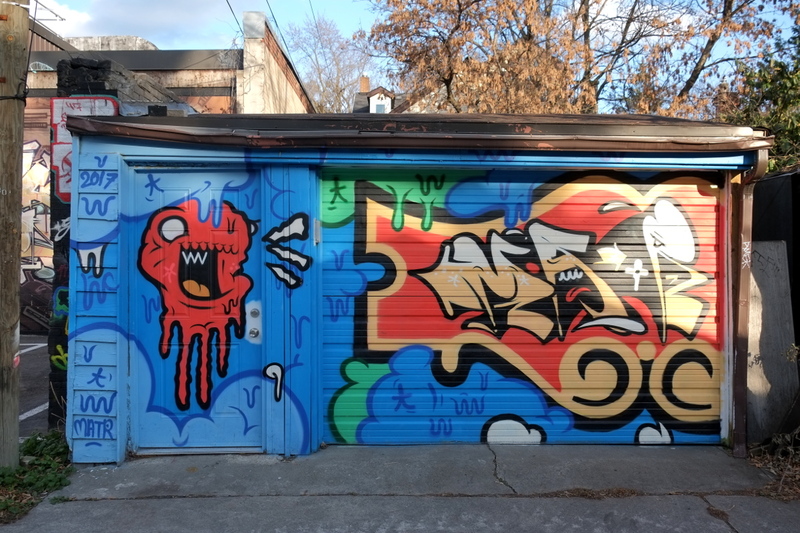 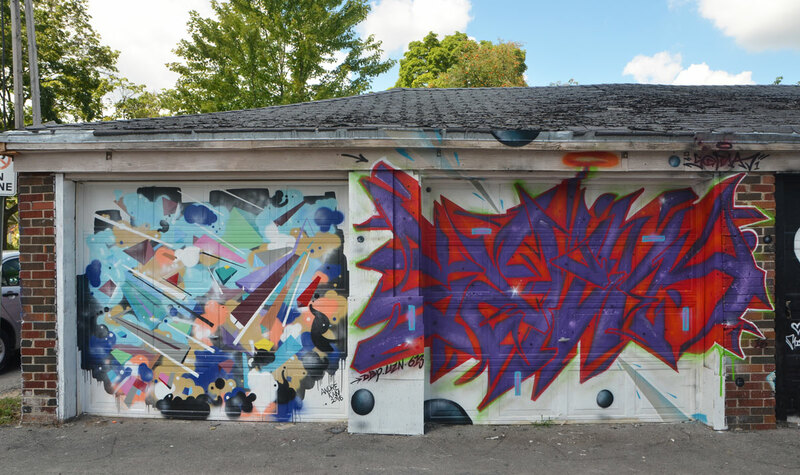 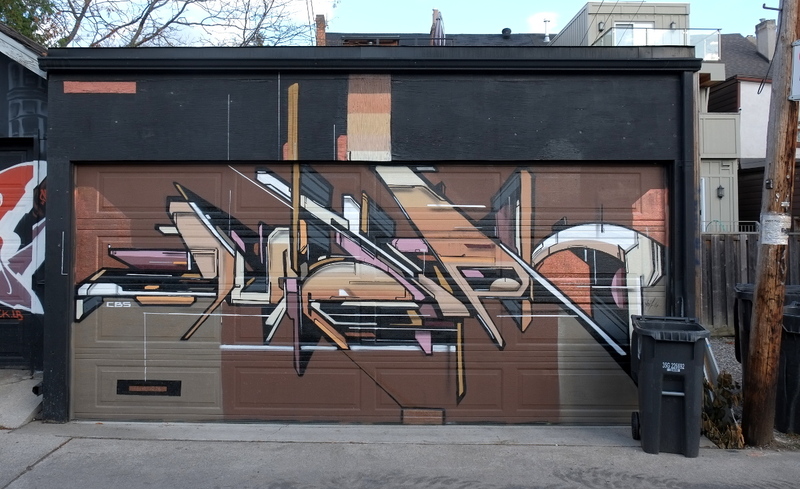 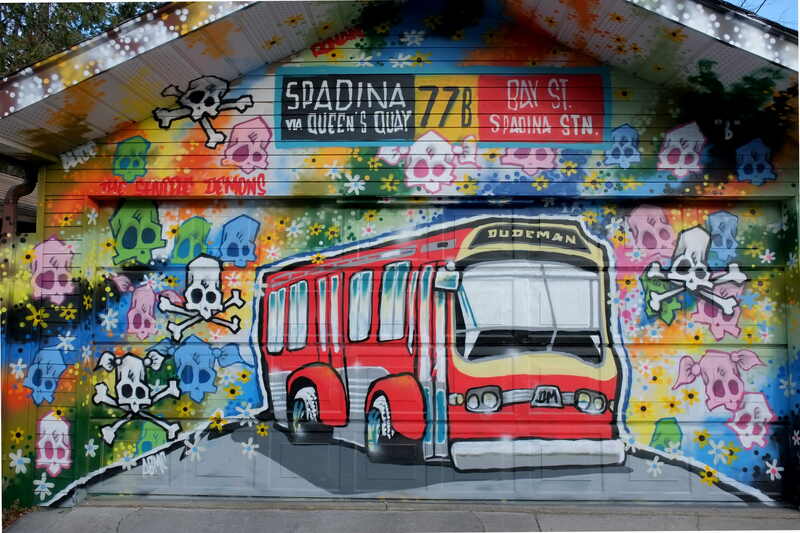 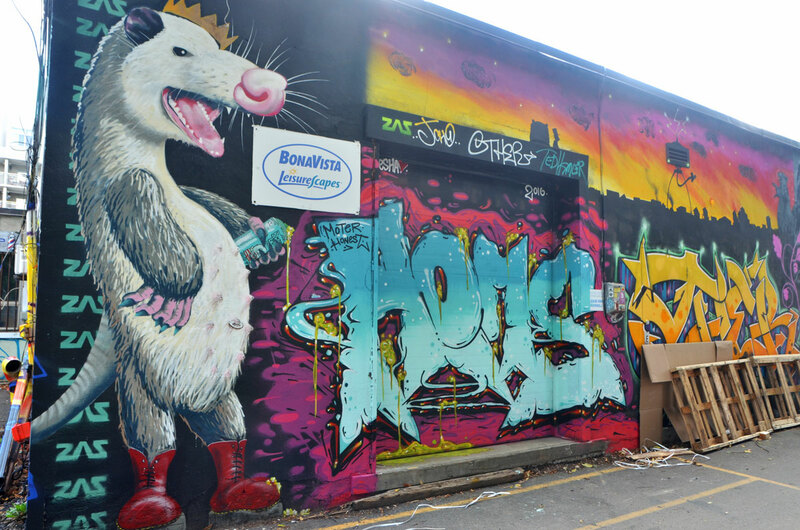 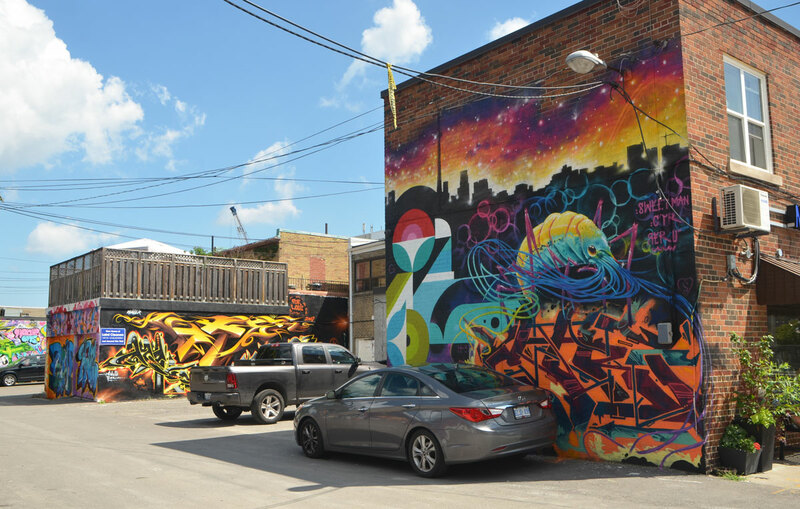 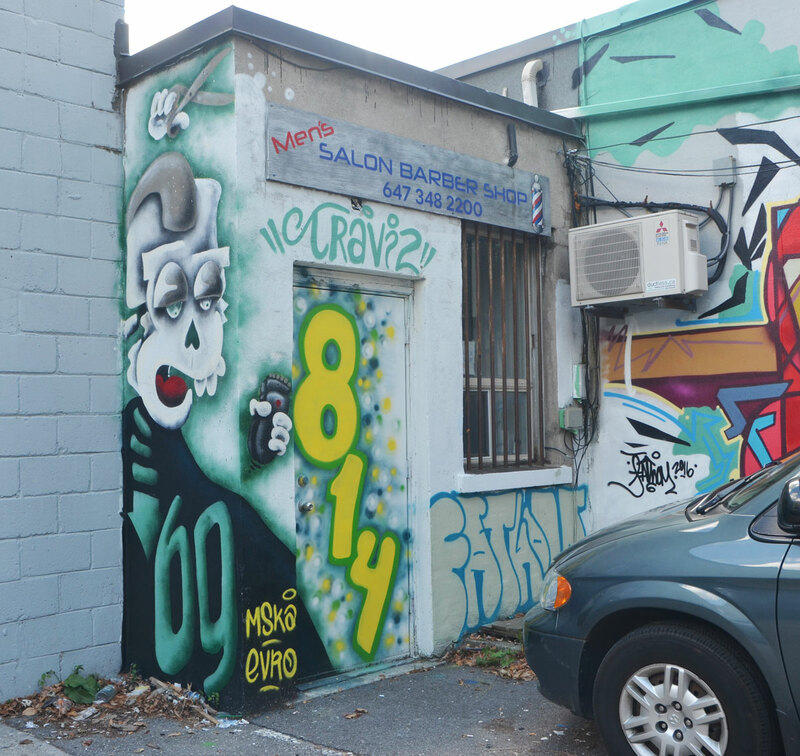 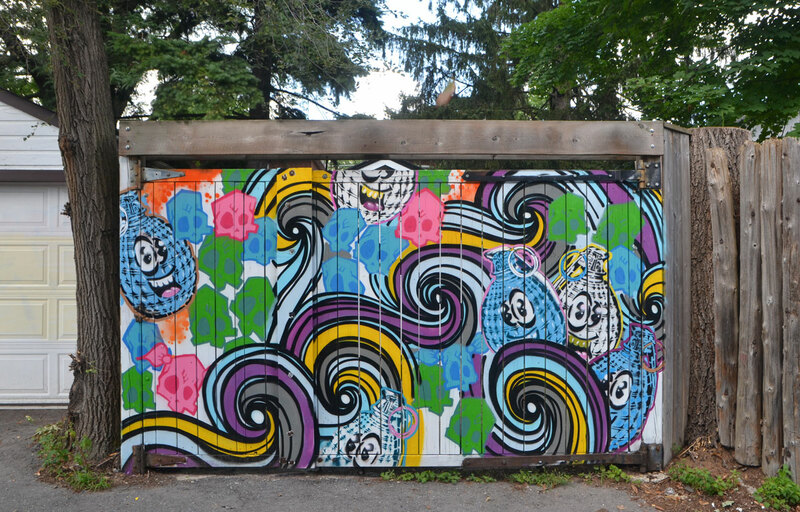 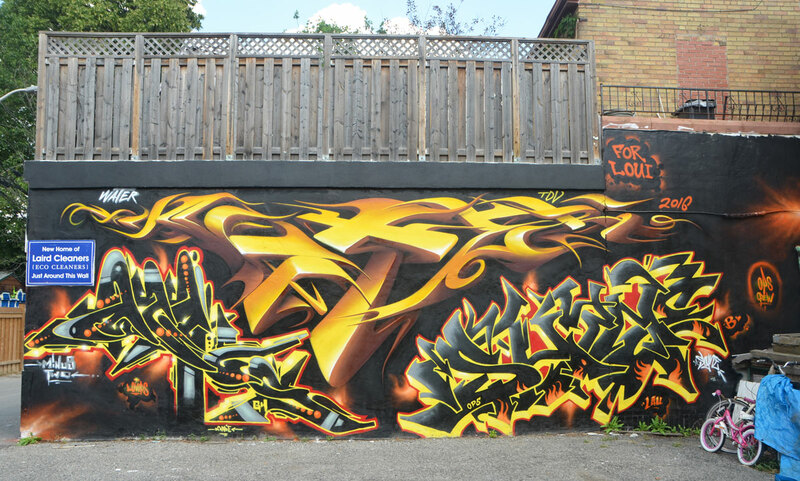 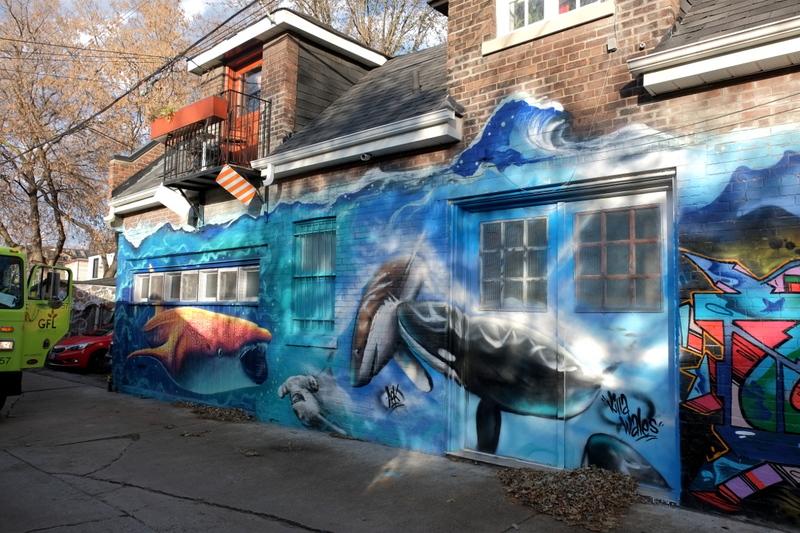 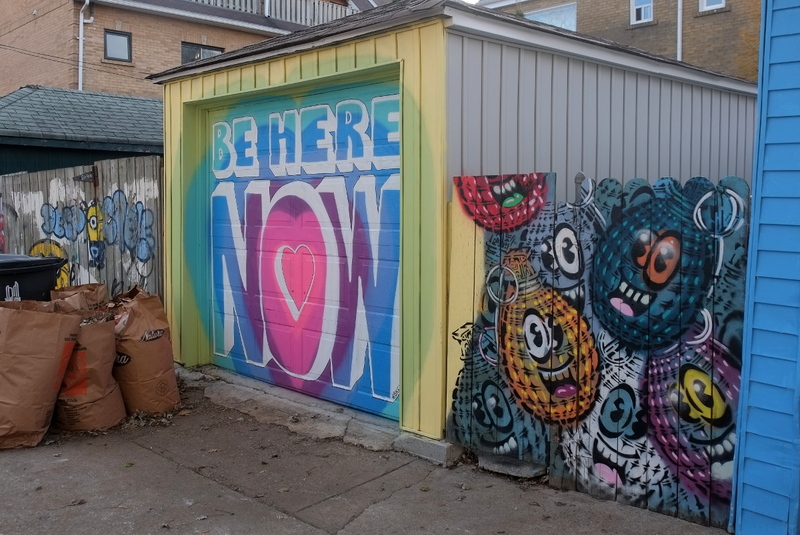 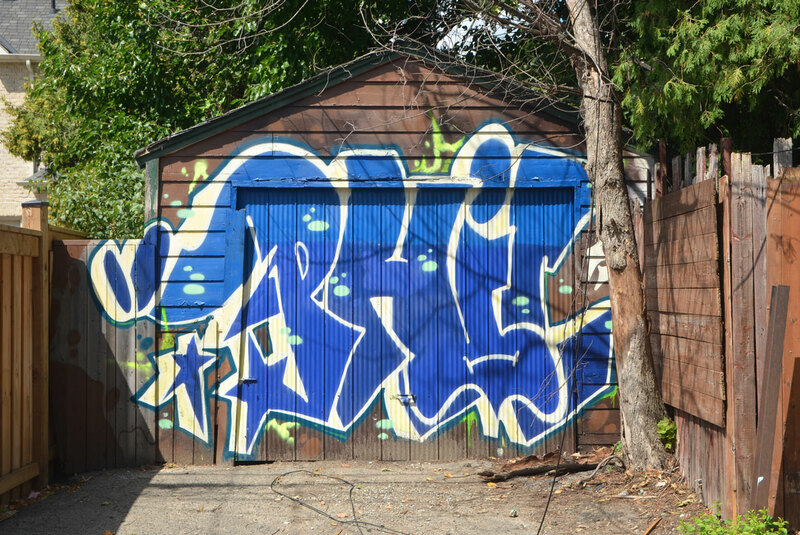 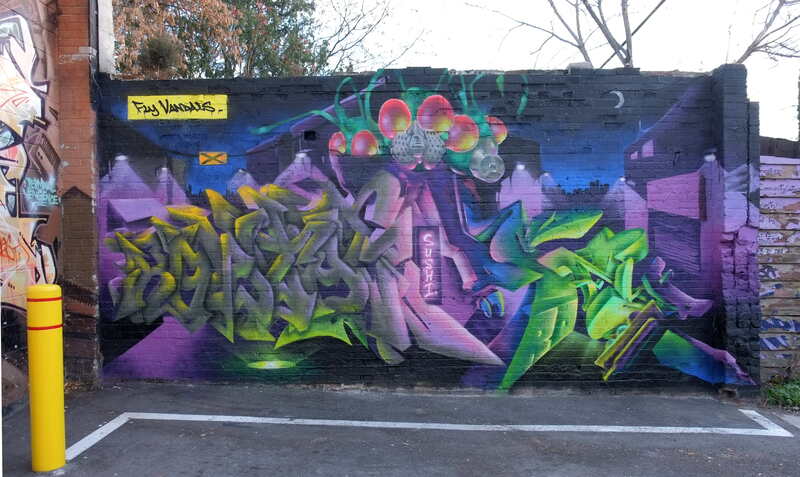 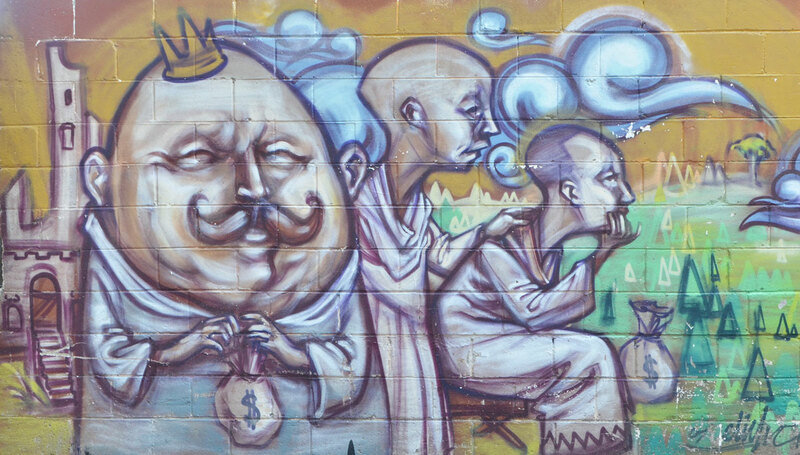 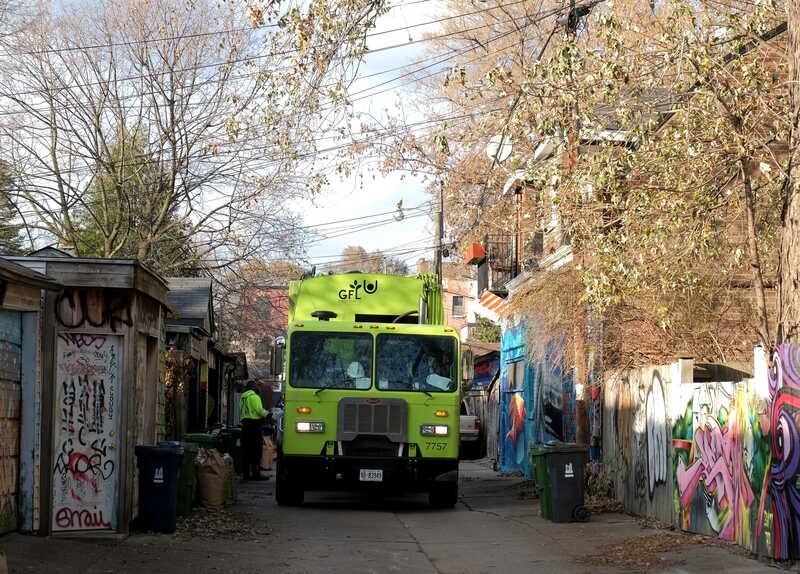 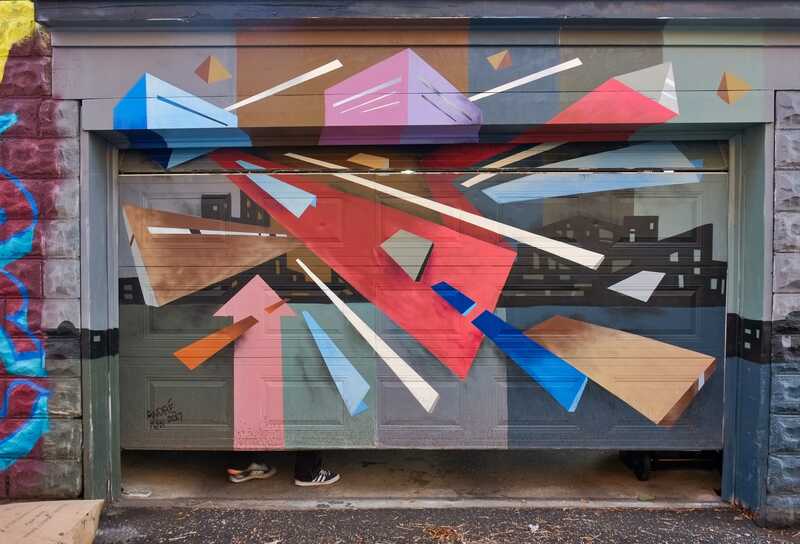 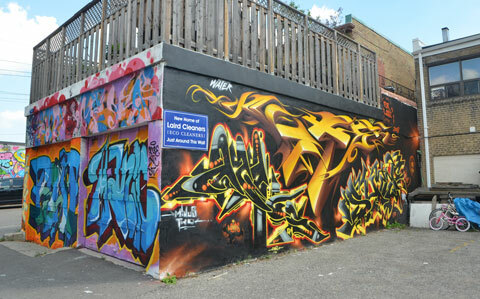 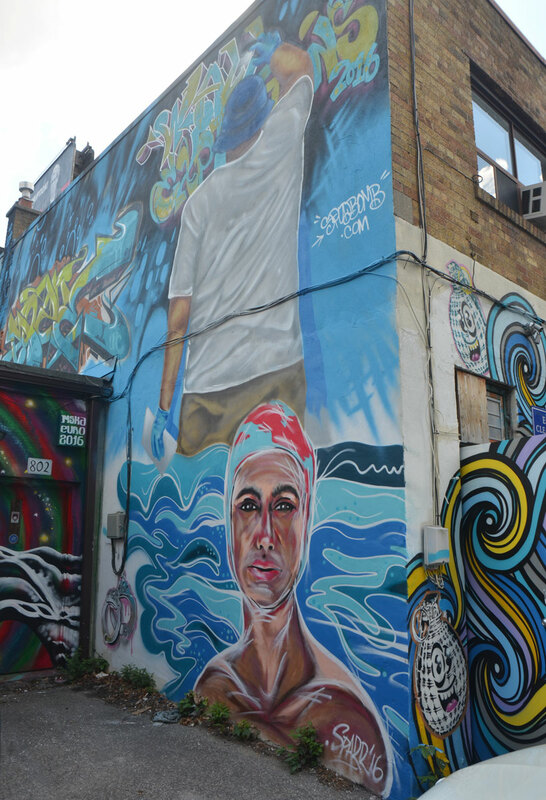 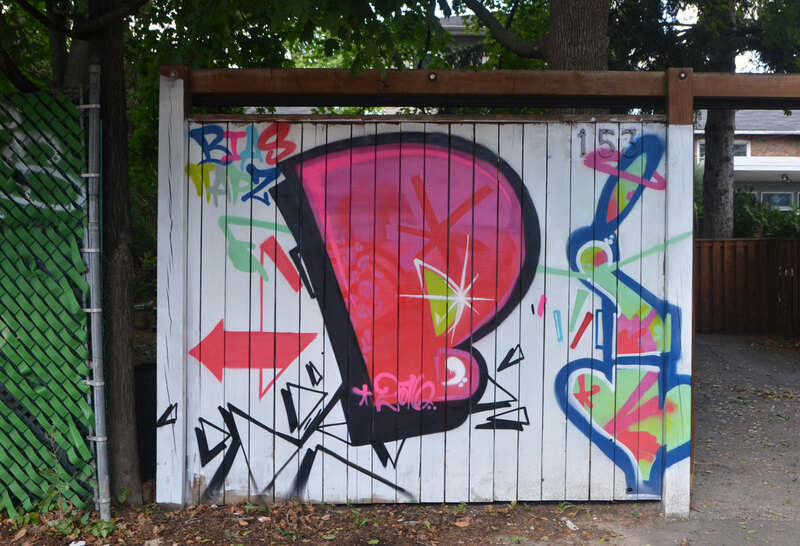 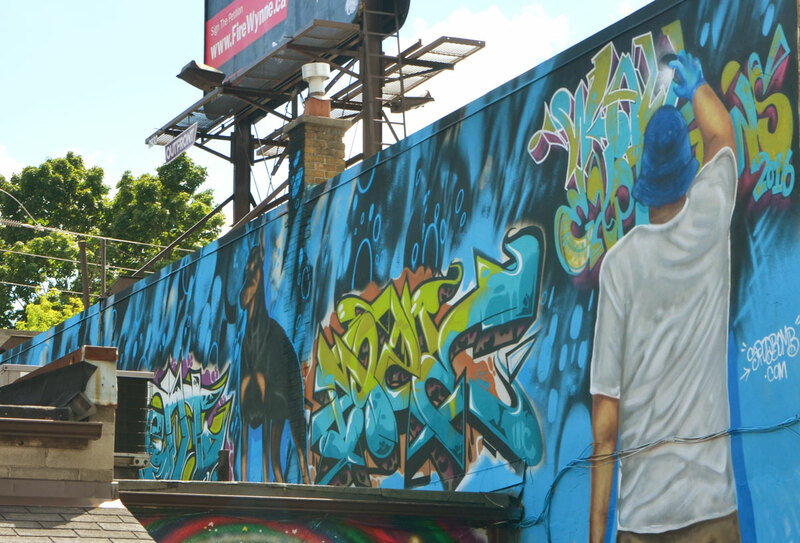 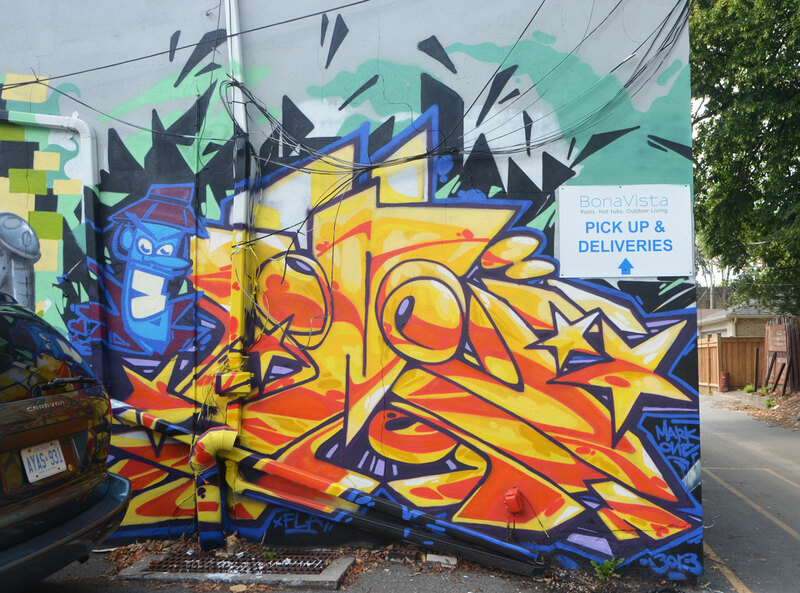 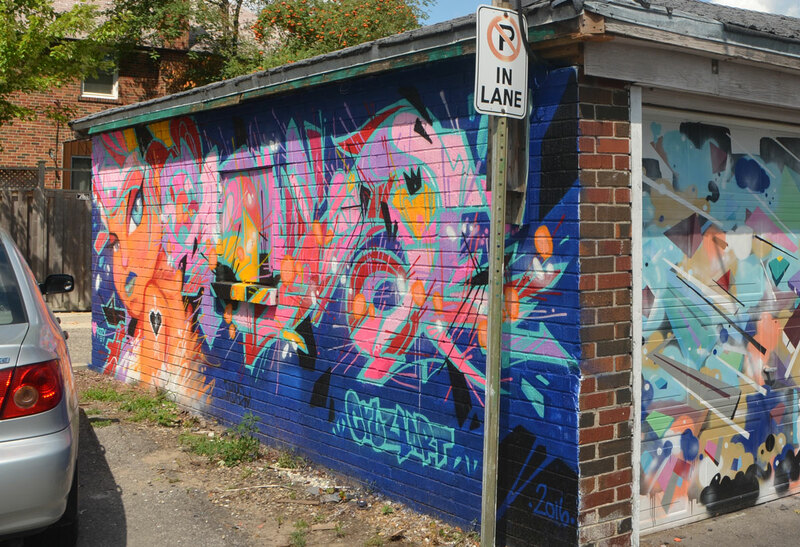 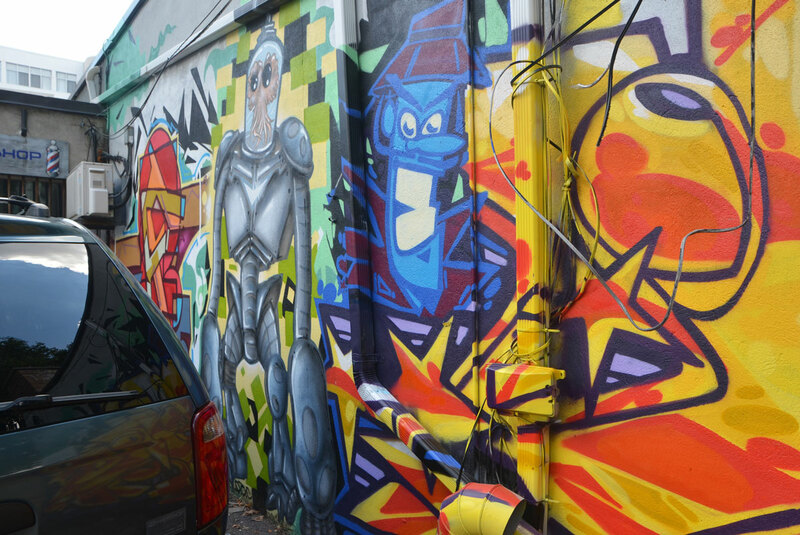 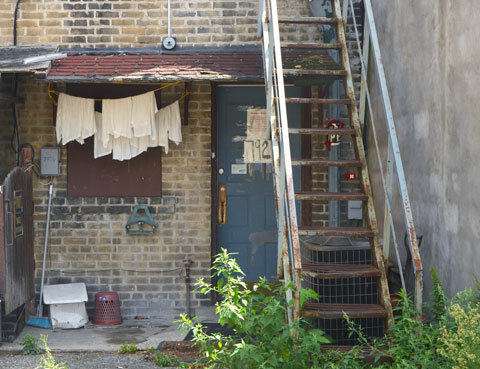 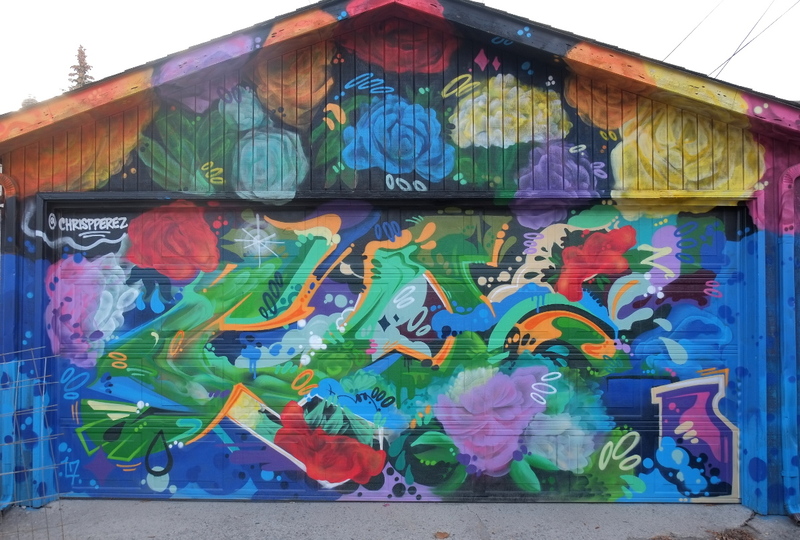 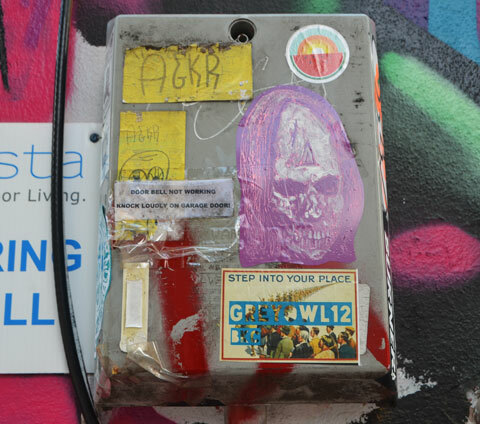 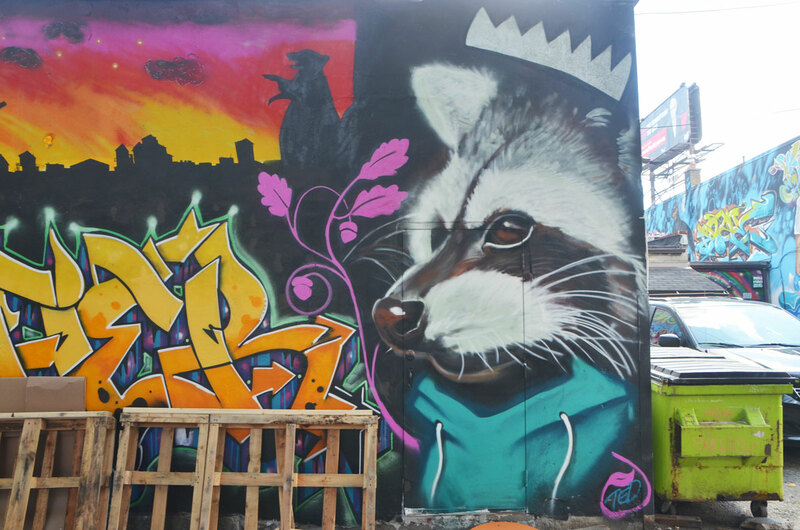 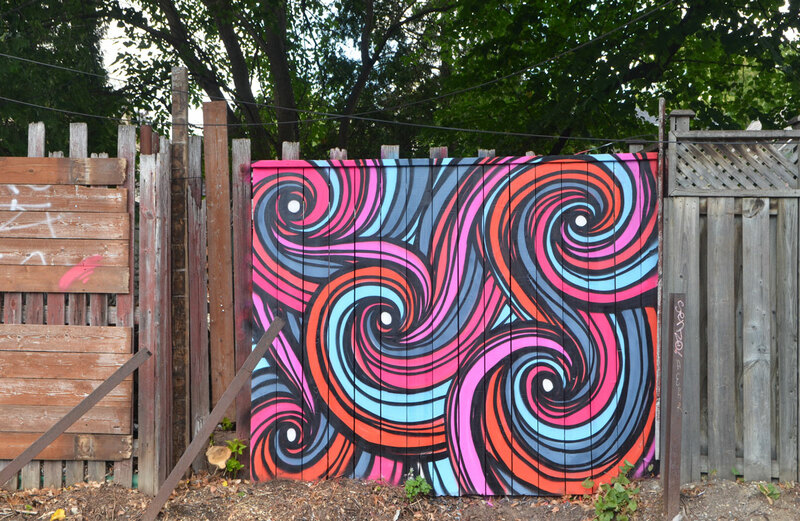 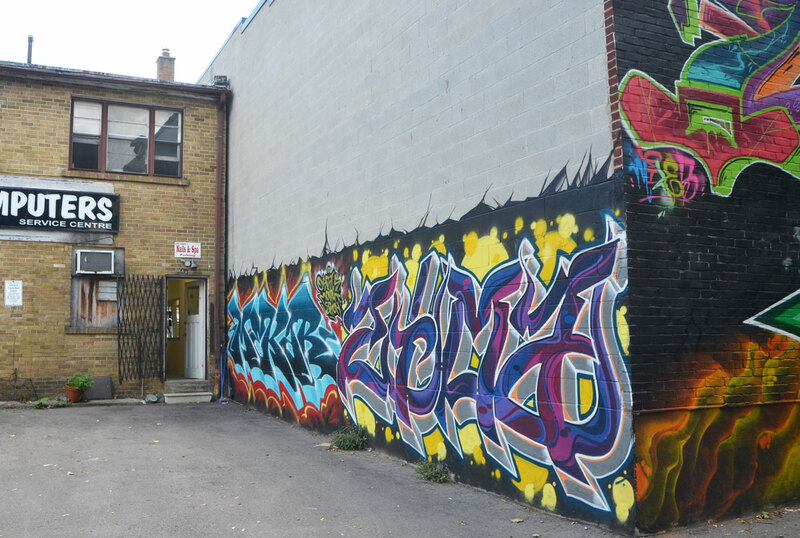 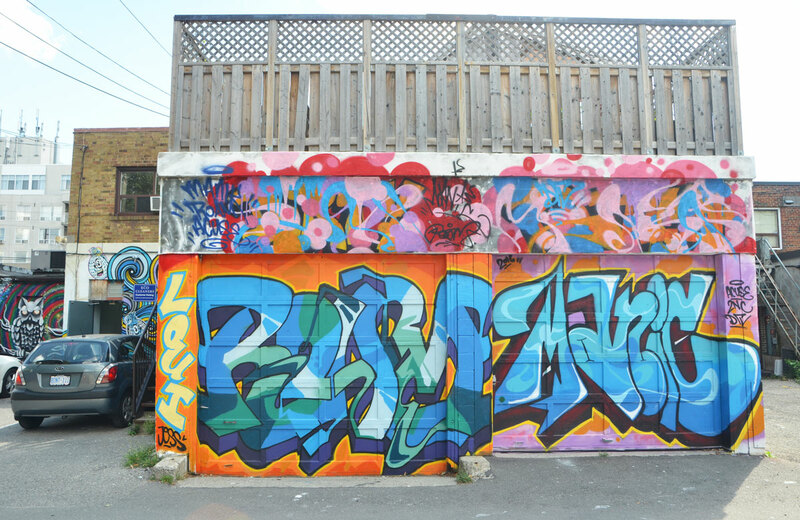 ‘Wall Expressions’ was a StreetARToronto project to paint/repaint garages in David French Lane. 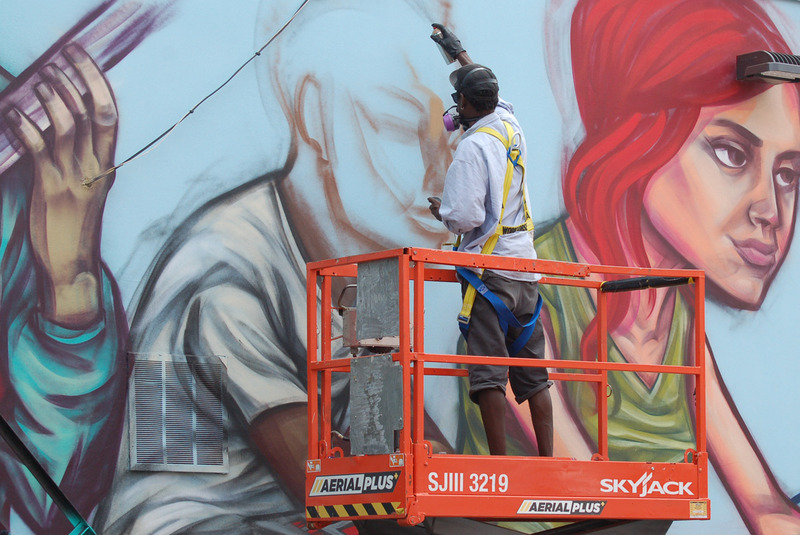 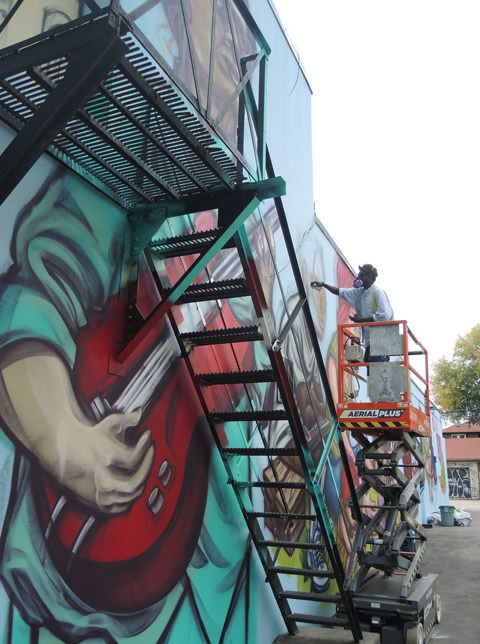 below: More of the mural in progress.